It began in Hong Kong when 11% of market value vanished. When European markets opened, they were also hit hard; an 8% drop in Germany, a 9% tumble in France and a 10% plunge in the United Kingdom. Finally, the U.S. markets opened and lost 22% of their value in a single day. The date was October 19, 1987 – Black Monday. 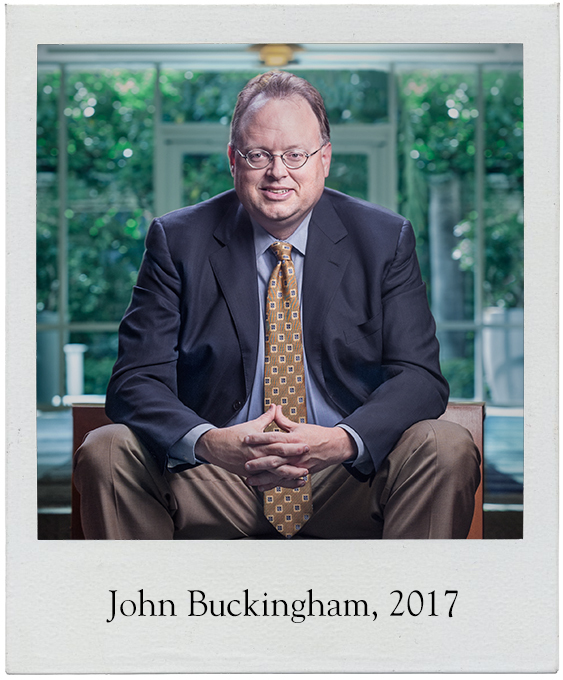 At just 22 years old and six months out of college, John Buckingham was baptized by fire into the world of investing. The 30-year anniversary of Black Monday is here. Some prognosticators say we are approaching another Black Monday – that the market is super-heated and can’t sustain 22,000 on the Dow. Back in 1987 some predicted that Black Monday would extend into another Great Depression. They were wrong. But when you’re 22 years old, six months out of college, and you’re watching the formerly fertile fields of your future career path burning, it has a profound effect on you. Yes, Black Monday impacted John Buckingham. It gave him nerves of steel. Thirty years later, John reflects on that day and what he’s learned over the years. Prognosticators will prognosticate. That’s their job. But when you’re managing people’s hopes, dreams and future, you’d better have more than an opinion. You’d better have trial-by-fire experience guiding investment decisions. John, now Chief Investment Officer for the Al Frank division of AFAM Capital and Editor of The Prudent Speculator, sat down with us for a Q&A and shared more about how these events shaped him and his investment philosophy. The date was October 19, 1987. Black Monday impacted John Buckingham. It gave him nerves of steel. 30 years later, John reflects on that day and what he’s learned over the years. How did you end up at AFAM Capital? How did you respond to clients on Black Monday? How long were the effects of Black Monday? How long was it before people started believing the market would rise again? What was the media saying about Black Monday? What are some lessons you learned from Black Monday? Warren Buffett has 100 billion sitting in cash, and the comment was made that he doesn’t see anything worth buying. Do you think he sees something that you don’t? Mark Hulbert wrote about you guys, that you have nerves of steel. But there’s a part of me that just thinks, you’re human, there have to be days where you have the jitters. On those days how do you stay the course? Flashing back to Black Monday, was it hard to persuade investors to stay the course? What was their response to staying in the market when it just lost 20 percent? What do you think about timing the market? Right now in today’s market, where are you putting your personal money? As a senior in college, I had interest in the stock market. I was studying to complete my computer science degree and had a minor in business administration. The stock market was very appealing and attractive. So I started working with Al Frank in the second semester of my senior year, part time. I was brought in to essentially automate the office, and in that process learned everything that Al Frank did in terms of stock analysis, portfolio management, research – everything involved in running an asset management firm. Then upon graduating in May of 1987, I went to work for Al full time. I wasn’t certain exactly what I wanted to do with my career, my life, and so forth. I knew that I had an interest in the stock market, and thought this would be a great place to get my feet wet, so to speak. As fate would have it, I’m still here after 30 some odd years. Well it was very stressful, of course. You’re talking with our clients who obviously are a lot older than you, much closer to retirement, have accumulated a lot more wealth, and weren’t overly thrilled about the markets heading south and their portfolios going down, even though the downturn would prove to be temporary. I had the good fortune of working at the foot of Al Frank for several months before that happened. His temperament and mindset were similar to mine. We asked ourselves, how do we save as much stock in a portfolio as we can? How do we keep our clients on track? How can we communicate with them effectively, and keep them calm? It wasn’t easy of course, because in those days you didn’t have the ability to send out an email with facts, figures and information. Heck, you didn’t even have the ability to create a recorded message that you could send out to them. So there were a lot of inbound phone calls from clients, and even more outbound. It was interesting in terms of the aftermath of October 19th of 1987, in that the very next day the large cap stocks, S&P 500, had a substantial rebound. The problem was that the average stock did not have a substantial rebound, and while Black Monday was bad, the next six weeks were also not very good. The overall market really didn’t bottom until the first week of December of 1987. So there was continued downturn from October 19th through really December 4h of 1987. Then the markets proceeded to rebound, and 1988 and 1989 were very nice years. The media of course, as it is prone to do, suggested that the crash might usher in a great depression, and yet we didn’t have a great depression. So the overall economy muddled along. Corporate profits were still okay. The markets eventually began to rebound. So yes, October 19th was a horrendous day, but you also have to keep in mind that the markets had rallied prior to that. So believe it or not, by the end of the year, the major averages ended the year about where they began. A great lesson learned from 1987 is that if you can lengthen your measuring stick, and look longer term, a lot of the short-term fluctuations can kind of melt away. Obviously if you’re watching your portfolio with your smartphone tick by tick, it can be pretty scary seeing your net worth go up and down every second. But if you can look at it more on a long-term basis and say, okay well how did the markets do this quarter, or this year, or this five year period, it becomes much easier to remain calm and in control. In 1987, the Dow Jones Industrial Average was actually essentially flat for the year. We like to crunch numbers, as it helps to provide much-needed perspective, especially in times of turmoil. While 22% moves in a day are extraordinarily rare, big ups and downs are not unusual. If you look at the historical evidence, say for the S&P 500, there have been more than 1,400 times going back to 1927 that the index has had a single day move of more than 1.44%2. So volatility is normal. I guess that’s a big lesson that investors should remember. These days, of course, volatility hasn’t been that great. So you get a one or two percent move in a day, and it does seem kind of scary. But over time, those kinds of movements are very normal, and not something that we think long-term investors should be overly concerned about. And another lesson I came to understand pretty quickly is that investor emotions can be detrimental to financial health. In tranquil market environments, many say that they can handle a correction or even a Bear Market, but when they actually occur – and about the only thing we can ever guarantee is that the will happen again – fear can be very powerful, with the “flight” gene often working overtime. Frankly, our ability to keep emotion out of the equation and to provide real-world perspective might be the most “valuable” part of what we do. After all, it doesn’t matter how good our stock picks are if someone is sitting in cash! Well, Warren Buffett says a lot of things and sometimes acts differently, as he has been putting money to work, even though he always likes to have money put away, so to speak, to take advantage of the opportunities that will inevitably arise. Of course, he is a different investor than the average investor, in that in order to move the needle, there are only a handful of companies that he can look at to buy, because he has those billions of dollars to oversee. Therefore, he can’t be looking at most small or mid cap companies, because it’s not going to really matter much to Berkshire Hathaway. So, starting with the universe of stocks, he has a much smaller selection that he can look at. He has made some big acquisitions, made some offers for other companies, and just bought a big stake in truck-stop operator Pilot Flying J, in a bet on stronger economic growth going forward. Mark Hulbert wrote about you guys that you have “nerves of steel.” But there’s a part of me that just thinks, you’re human, there have to be days where you have the jitters. On those days how do you stay the course? Losing 20 percent in a day is disconcerting, obviously. Losing two percent in a day –I hate to say it’s not a big deal, but it really isn’t. So in terms of getting nervous, or somehow doubting what we do, we’re very much focused on numbers. If you look at market history, stocks that trade at inexpensive valuations have historically generated excellent long-term returns. Then dividend paying stocks have also generated better returns than non-dividend paying stocks. So we really feel that we’re invested in the right area of the market. It’s not as if we somehow put our money into some black box, and don’t really know what it is that we have invested in. We very much believe in the companies, and many of them are blue chip names that are going to be around. No matter what transpires in the short run, they will be here for the long haul. So, we don’t get “jittery” about our strategy or our style of investing. What I’ve found over the years is that there’s no substitute for experience, so it’s much easier today to talk to people about staying the course, now that I have over 30 years of experience. For example, 2008 was worse than 1987, in terms of the magnitude of the decline. When you have real-world experience, and you’ve lived through many ups and downs, it’s certainly much easier to keep it in perspective. Obviously, in 1987, I had none of that, so it was not as easy to get clients to keep the faith. They were talking to a 22 year old kid, they didn’t see any gray hair. Now, if Al Frank talked to them, then they were much more likely to believe that sticking with stocks was the way to go. But again, Al had not really seen a big downturn. Even though the markets had not performed well in the late 70s and early 80s, Al’s strategy had made money every year during those years. So he didn’t have any kind of real sustained downturn until 1987. To get the experience to stay the course, you have to go through the school of hard knocks. You have to endure scary market environments. You get that perspective only by living through it and dealing with it. So it was not an easy thing in 1987, to be convincing a 70-year-old person to stay the course because we believed it would recover. Even though it did recover, and even though market history suggested it would, there’s just something to be said for having the years of experience. Again, I think that’s one of the big benefits, if you will, of our firm, is that we’ve lived through the ups and downs. Well, we think the key to long-term investing success is time in the market, as opposed to market timing. You need to let the markets work for you. Let’s say you went back 10 years, or 15 years, or 20 years, and you bought at the worst possible time that year, as opposed to the best possible time, your overall return since then is not that different. Again, because of the miracle of compounding, your money works for you over time. So we like to say that the only problem with market timing is getting the timing right. It’s very difficult. Yes, a few people have managed to buy at the absolute bottom, and sell at the absolute top. But statistically speaking, the odds of doing so are so long as to be almost impossible. We can even go back to the tragic events of 9/11. If you had known on September 10 that the Terrorist Attacks were going to happen, you might have liquidated your accounts and gone to cash. Well, on September 10th of 2001, we were up about 5 percent for the year in our TPS newsletter portfolio. On December 31st of 2001, we were up 19 percent. So had we known that 9/11 was going to occur, and had we gone to cash right before the Attacks, we would have locked in a 5 percent return. But we didn’t. We didn’t know it was going to happen, so we rode through. The markets reopened after 9/11, and stocks went down of course. But then stocks recovered. So believe it or not, by the end of the year we were up 19 percent for 2001. Well all of my long-term oriented money has been in our equity strategies. I like to call that eating my own cooking. We have the Buckingham Portfolio, which is a model portfolio of our newsletter. I also have two different strategies that we have for our clients, in which I have “seed money” invested. And I have money invested in our proprietary mutual fund. So, all of my investable dollars that are long term in nature are in the equity market, and I have no desire to take any of those out. But shorter term money, like my daughter’s tuition needs, that’s not in the stock market, or money we might need for fixing up a house, an investment property. Those things are not in the stock market, because it’s a shorter term time horizon. But hopefully, I’ll never need to touch my Al Frank dollars that I have invested in our strategies. They’re very much long-term in nature, and so I don’t worry about the inevitable ups and downs that will occur. 2From 1927 through September 30, 2017. Al Frank using data from Bloomberg. The market loss calculations were derived by AFAM Capital using 10/16/87 and 10/19/87 closing data from Bloomberg. Market close dates / times are local. US (Dow Jones) 2246.74 -> 1738.74; Germany (DAX) 1458.50 ->1321.60; Hong Kong (Hang Seng) 3783.20 -> 3362.39; UK (FTSE 100) 2301.90 -> 2052.30; France (CAC 400) 1337.98 -> 1208.99.